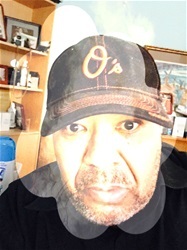 Tuesday Teaser "The Blackman's Blog"
I wasn't able to post this 4 days ago because of other post so I squeezed this in today. 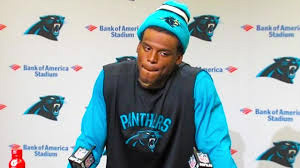 America was about to hang Cam Newton from the highest big old oak tree last week because Cam thought that a woman reporter, Jourdan Rodrigue, asking questions about a wide receiver running route patterns during a press conference was funny. However, that same America elects a man President who openly admits to going around grasping pussies, "he wasn't talking about cats or kittens". Then we find out that the woman he supposedly embarrassed had a history of tweeting racist responses. The league administrators caused Cam to bow when he should’ve simply stated what he felt and moved on. You talk about misplaced values in an American society gone absolutely coo-coo. If you don’t stand you don’t play whatever happened to direct peaceful demonstrations? Whatever happened to freedom of expression? speech? Civil liberties protected by our Constitutional Rights? People are saying that America is on the precipice of moral decline. I just think that we are realizing a significant percentage of Americans are crazy as a loon. What in the hell are really the significance in wide receiver route patterns anyway? Is knowing those route patterns going to close the economic and educational disparities that currently separate the races? America places inordinate, and I think an unhealthy level of morality and values in games. While entire communities are being crushed because of human disinterest and apathy. Hell no, you better not kneel and if a woman asks a question no matter how irrelevant you better show that woman respect even if you find something funny, don't admit to it, Cam. We pay you to pass pigskins not jokes.